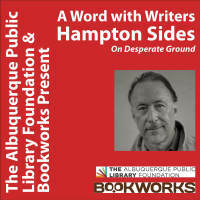 Bookworks and the Albuquerque Public Library Foundation Present their bi-annual literary fundraiser, A Word with Writers, with Santa Fe author Hampton Sides, on tour for his new book, On Desperate Ground. 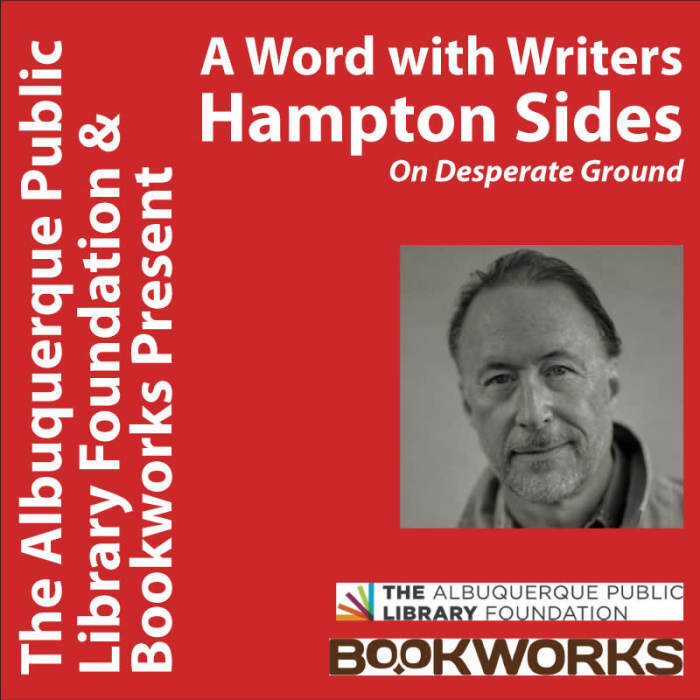 Tickets will admit two and include one signed hardcover and a donation to the Albuquerque Public Library Foundation, to be on sale later this summer. Hampton Sides is an award-winning editor of Outside and the author of the bestselling histories In the Kingdom of Ice, Hellhound on His Trail, Blood and Thunder, and Ghost Soldiers, which won the PEN Award for Nonfiction. A past fellow of the Santa Fe Institute, he teaches narrative non-fiction at Colorado College.